From Opulence to everyday life. After a fantastic Iftar at ITC, we decided to check on what is more affordable for more frequent visits! With the family giving a thumbs up to Fisherman's Fare, three of us decided to see what was in store! Pleasant surprise! Nombu Kanji! Looking at the colour, I had a sense that this was going to be good, but it was perfect. Just the tinge of lamb flavour and not trying to be a liquid haleem. It had the warmth that a good nombu kanji has and I was happy at the effort to keep Chennai's tradition alive. 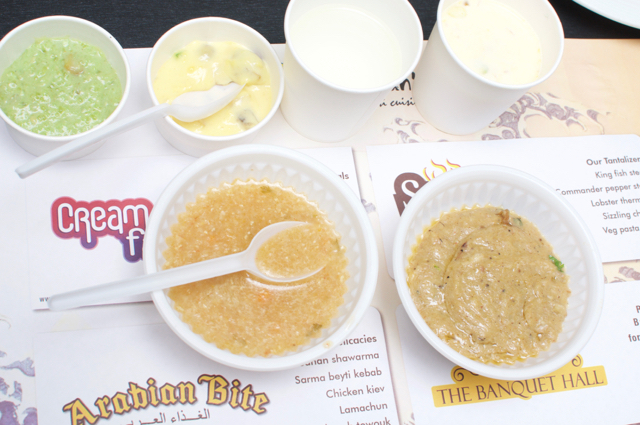 The haleem was pretty good too. No bones in my bowl and the flavour was just right! There are two parts to this Iftar meal. A platter served on your table with the kanji, the haleem, lime juice, badam milk and two sweets, along with a plateful of fried stuff. And then the buffet which has all of the above plus naan, two gravies, a rice and fruits. The badam milk was slightly watery, but had the right flavours, the two sweets were excellent. Earlier, Fisherman's fare had the Qubani-ka-meeta and I was expecting that, but that was not to be seen. 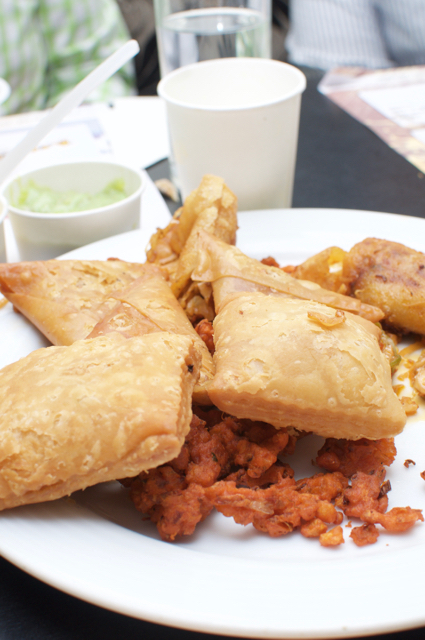 Among the fried stuff, the lamb Lukhmi was nice and the samosa was also decent, while the spring roll was passable. If was to give one advice, it would be to skip the buffet and ask for repeat of the platter stuff. The naans and the gravies weren't great, the Masala Rice was average, but the the fried chicken and chicken pakodas were pretty decent. The stuff on the platter were so much better! Priced at Rs. 399, this is a steal!